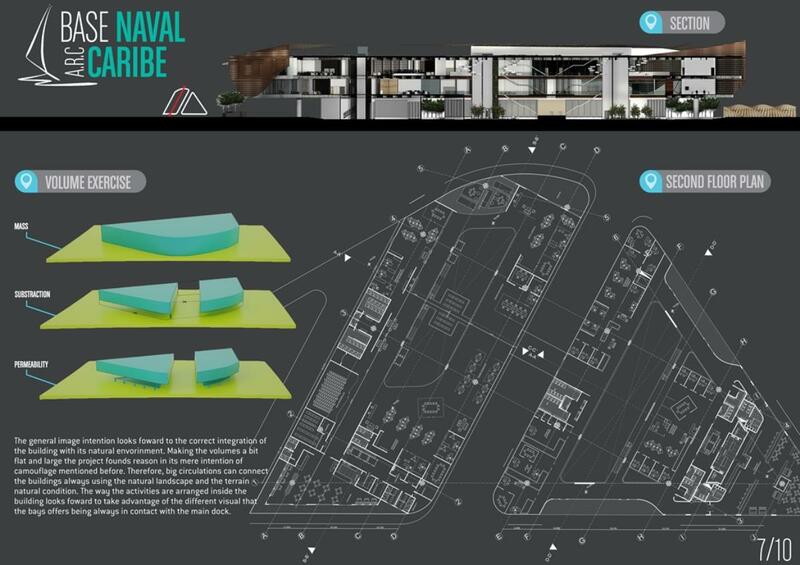 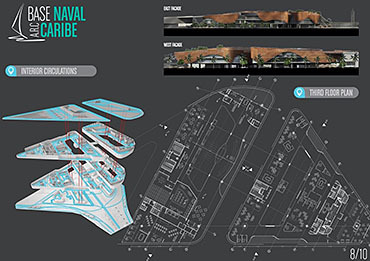 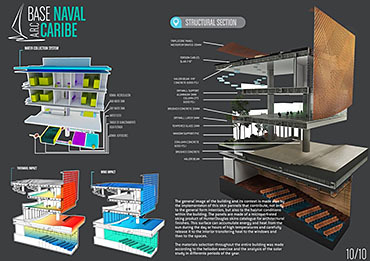 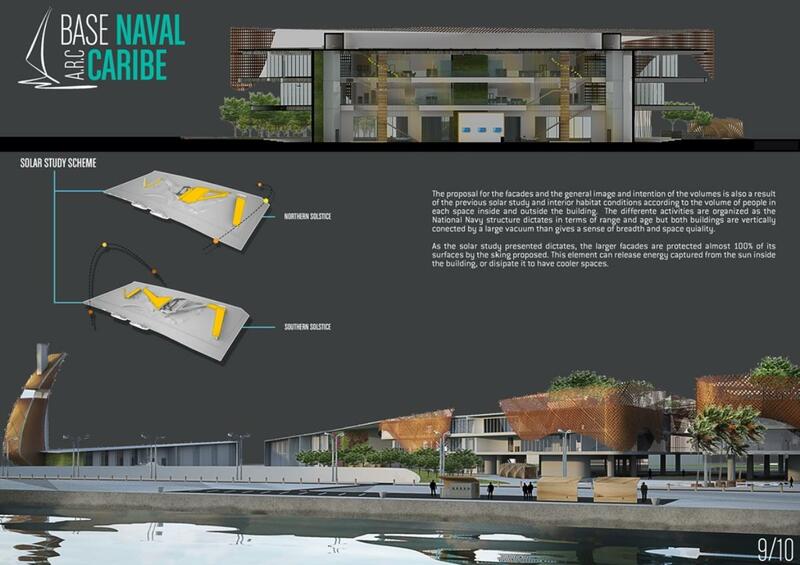 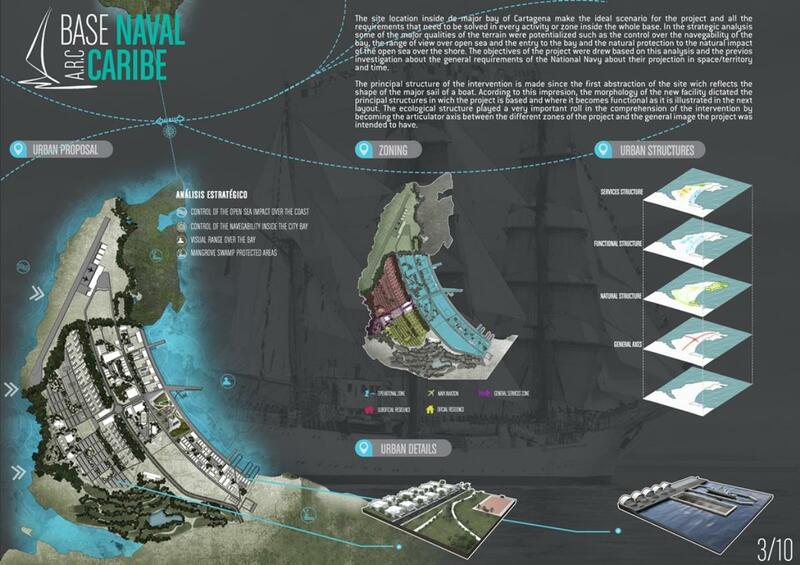 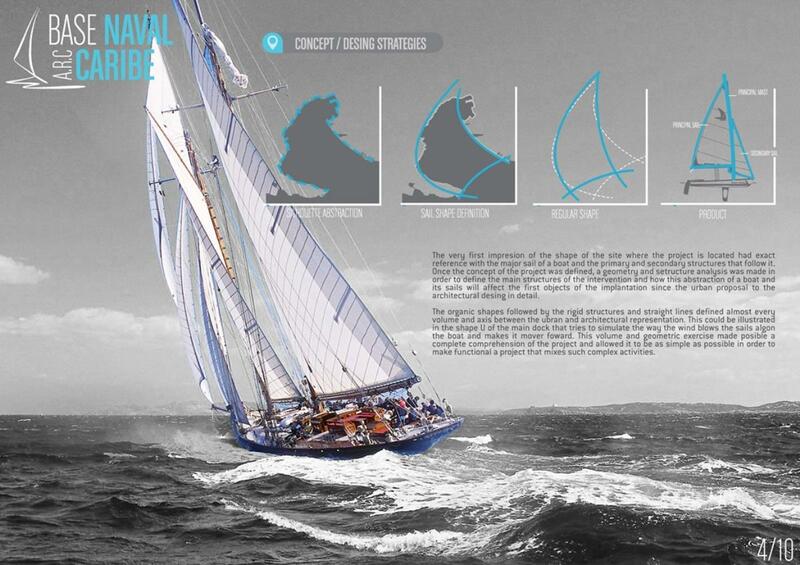 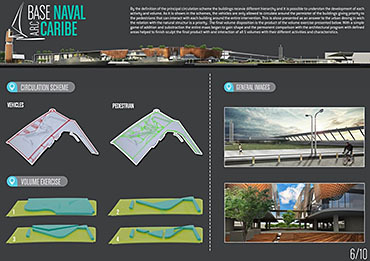 This project describes the proposal for the new Naval Base of the Colombian National Navy. 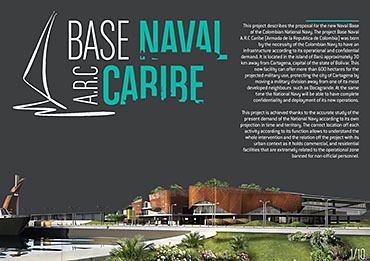 The project Base Naval A.R.C Caribe (Armada de la Republica de Colombia) was born by the necessity of the Colombian Navy to have an infrastructure according to its operational and confidential demand. It is located in the island of Barú approximately 30 km away from Cartagena capital of the state of Bolivar. 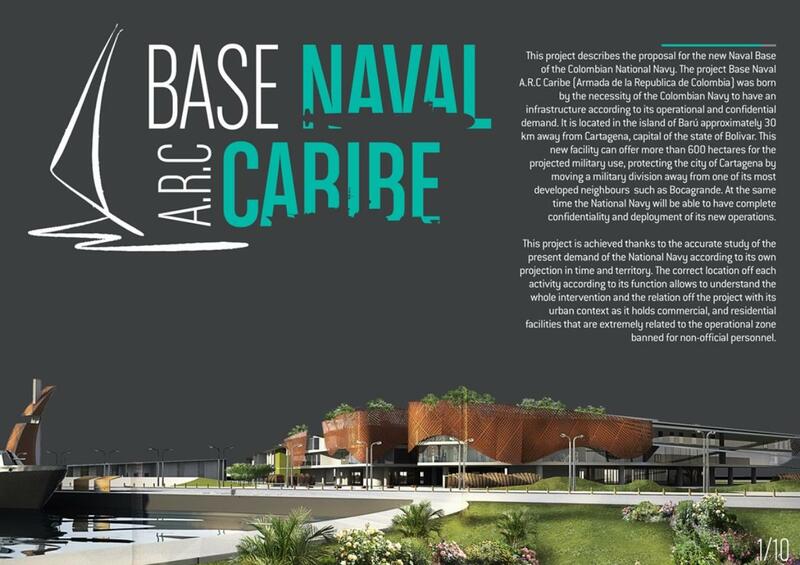 This new facility can offer more than 600 hectares for the projected military use, protecting the city of Cartagena by moving a military division away from one of its most developed neighbours such as Bocagrande. 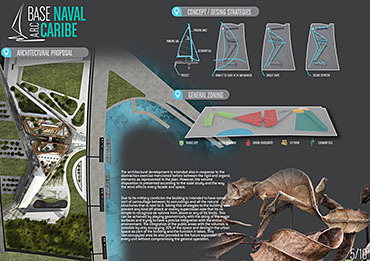 At the same time the National Navy will be able to have complete confidentiality and deployment of its new operations. 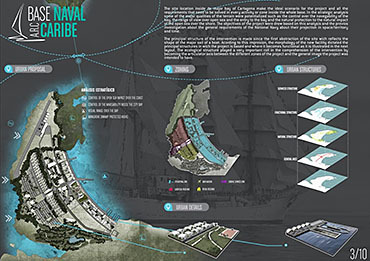 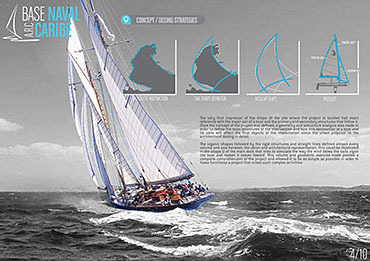 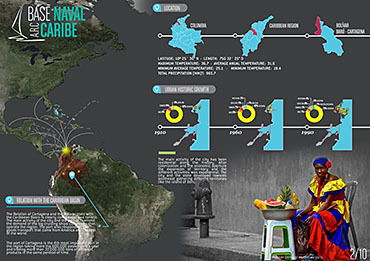 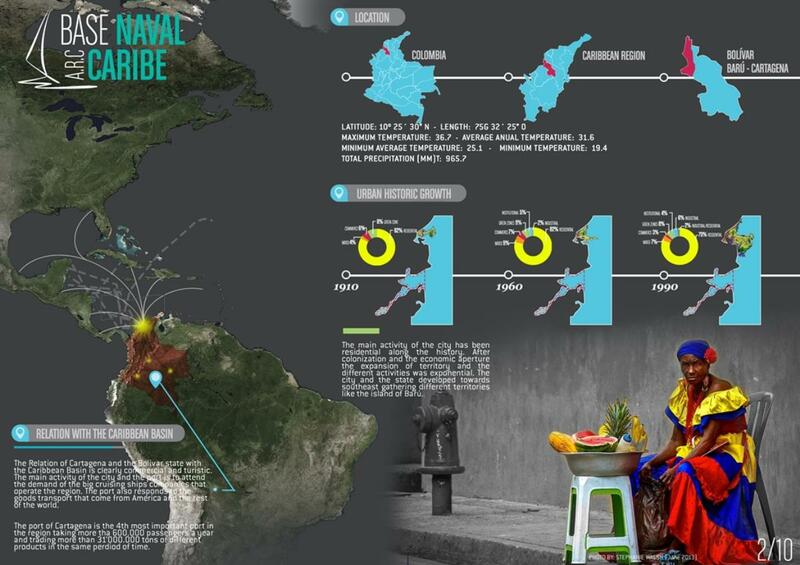 This project is achieved thanks to the accurate study of the present demand of the National Navy according to its own projection in time and territory. The correct location off each activity according to its function allows to understand the whole intervention and the relation off the project with its urban context as it holds commercial, and residential facilities that are extremely related to the operational zone banned for non-official personnel.